You must be as outraged as we are. Again. This morning, we learned that Supreme Court in a 5-4 decision, allowed the Trump Administration to continue their policy barring most transgender people from being allowed to serve openly in the nation’s armed forces, even as the policy’s constitutionality has yet to be decided. To our transgender friends: We want to reiterate that this decision in no way reflects on the merits of you, your community, or your ability to serve or fight for our country. We know what this ban is about. 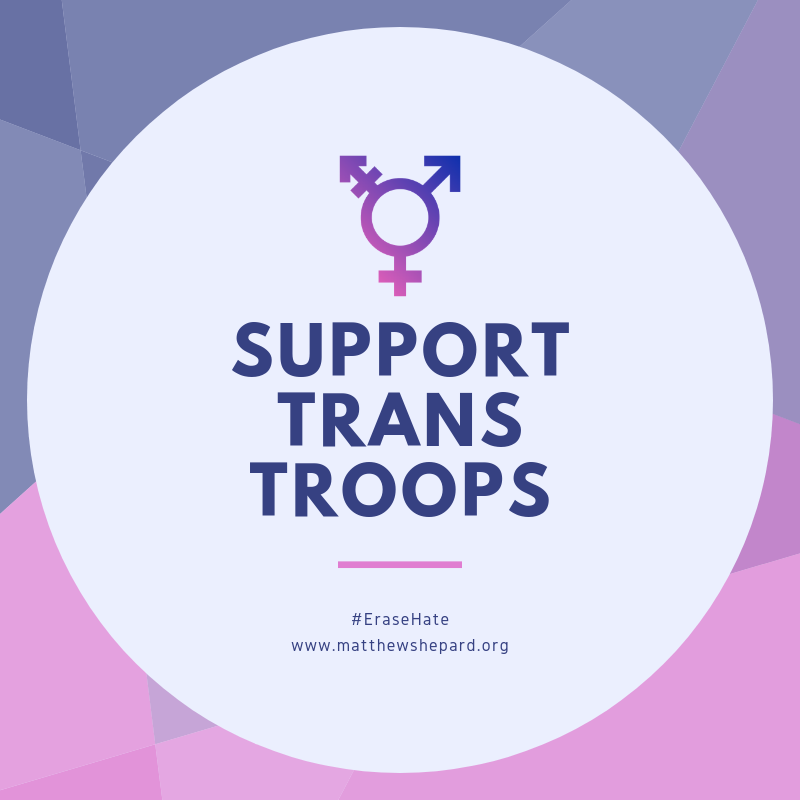 Excluding transgender individuals from military service or bathrooms or schools or any other public accommodation or pursuit denies these Americans the ability to fully participate in society, and seeks to enforce a stigma on a group of people who are already heavily discriminated against. We can’t let this happen time and time again. Announcements like this embolden people to discriminate. We don’t know what is going to happen in the coming weeks or months regarding this ban or how our friends in legal aid support organizations are going to tackle it. All we can do is continue to be vigilant and ready to fight for what is right and just and good in this world. But we already know this: you are on the side of compassion and understanding and will continue to fight to erase hate for everyone being discriminated against. It’s just a shame that now we have to fight back against our own government. Do you stand with us? If you can, please donate today so that we can continue this work.